Whatever the sector or size of your business, Sofacto allows you to publish your invoices and to create your solutions, simply. If you use Salesforce CRM, it’s already integrated: no need for an interface or a connector, no more loading data! Create your invoices, generate the document in .pdf format, and send it by email. View if and when your email has been opened. From Salesforce CRM, convert your opportunities and their products in 3 clicks! Our follow-up process adapts itself to each customer situation. Personalize your invoices in your business’ colors for an ultra-professional look. Design billing models adapted to your type of products. Simplify and standardize the publishing of your invoices for subscription products. Create a schedule and plan your Sales Administration in just a few clicks. Easily find your invoices with the multi-criteria search engine and confirm them with a simple click! You can also activate an internal approval process for confirming the edited invoice in draft mode before sending it to the Client. Follow your business in real time – and optimize the last phase of your sales cycle: follow-up with clients. With the management dashboard, take back control of your working capital requirement! Totally integrated with Salesforce.com, Sofacto is the missing link between CRM and compatibility. Available via AppExchange, the business application marketplace of the worldwide leaders in CRM and Cloud, the application installs in a few clicks on your Salesforce environment (production or sandbox). In a few steps, you are ready to publish your invoices directly from Salesforce! Invoices for Salesforce. No fuss. 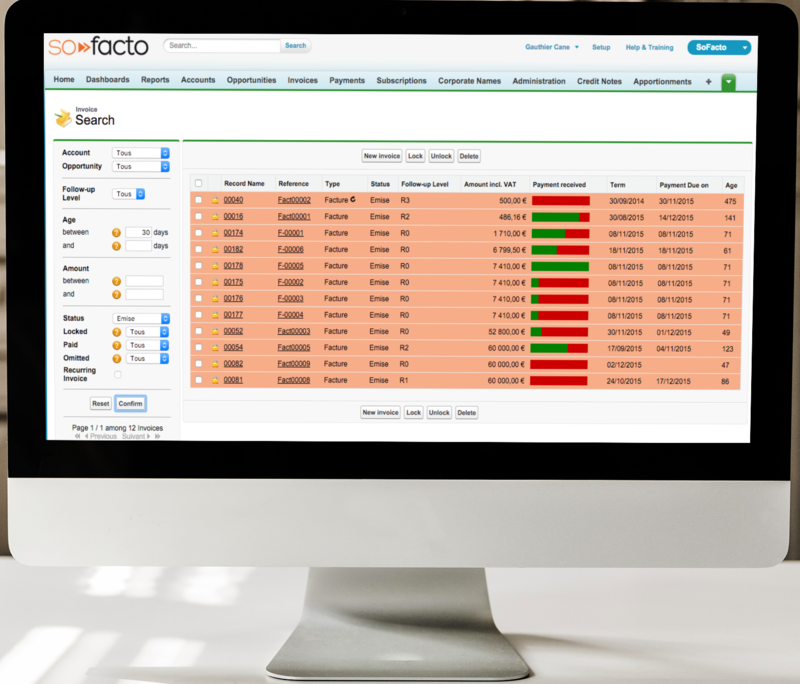 >> Sofacto – Invoice for Salesforce. No fuss.